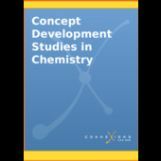 This is an on-line textbook for an Introductory General Chemistry course. Each module develops a central concept in Chemistry from experimental observations and inductive reasoning. This approach complements an interactive or active learning teaching approach.